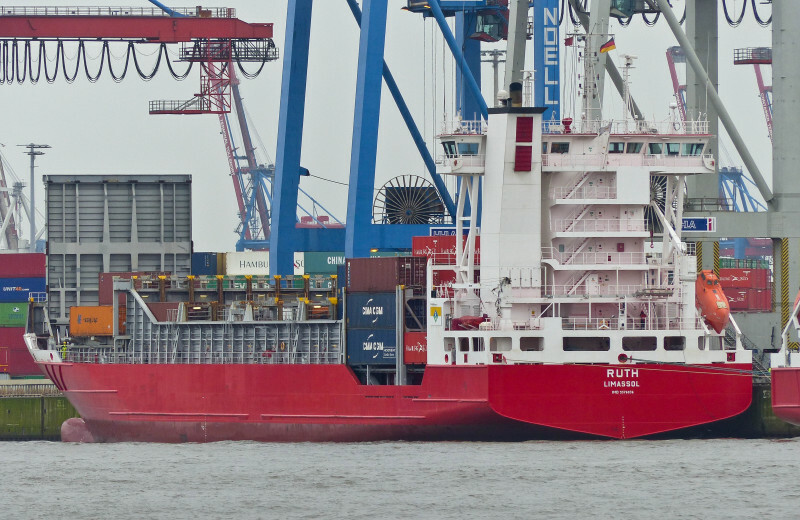 Another red Sietas-feeder berthed at Hamburg port on 9.02. 2016 was "Ruth", which has been under cargo operations at the Athabaskakai. Spotted from a harbour ferry near Neumühlen/Oevelgönne ferry terminal.